This entry was contributed by John Eller on January 21, 2016 at 3:37 pm and is filed under Uncategorized. Recently, a team of individuals from various organizations within the public/government, non-profit, and education sectors convened with the goal of being a “think tank” regarding our growing homeless issue in Catawba County and its municipalities. 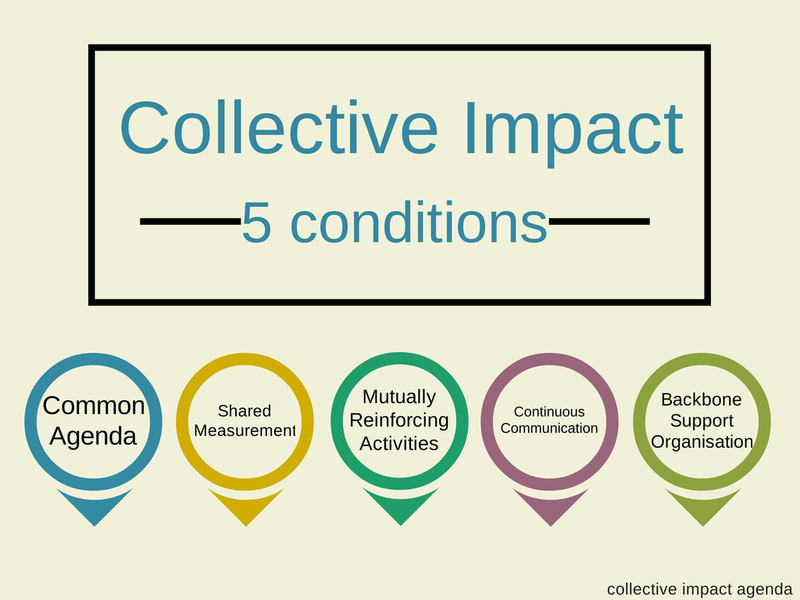 We organized around a collective impact model. This process has demonstrated that individuals who have passion, vision, and a desire for something greater are able to align interests to create a great team. This is what collective impact is all about! We knew that we could not completely “solve” the homeless issue, as many before have tried and are still struggling to do so. We also knew that people who are at risk of being homeless are typically treated in a fragmented way, only receiving help for the immediate need, with no one entity offering help in a holistic way. Based on this, we concluded that meaningful reductions in homelessness can be achieved only through a systematic and coordinated approach. After much discussion about what we “could” do and what would have the most impact, our team narrowed our focus to creating a “one stop hub” to serve this population through an online virtual portal for information and service referrals. Having one simple way to access support services— one place to go — helps service providers and first responders, as well as people at risk of experiencing homelessness, to get the help they need as quickly as possible. It also reduces waste and redundancy in the system. The project was named “SAFE Connect,” as SAFE refers to Shelter, Assistance, Food, and Emergency Care, with the goal of “connecting” vulnerable people to needed services in Catawba County. Any computer or smart phone can now reach safeconnectcatawba.com. The result is that any visitor to our virtual front door can locate the service they need via GPS enabled, integrated mapping services. Our ultimate goal as a team is to reduce the number of homeless citizens in our community by helping them achieve self-sufficiency. However, this is difficult if we are not able to serve each individual in a more integrated and holistic manner. We are hopeful that this virtual “hub” will eliminate contacting multiple agencies for different kinds of assistance, thus creating a more efficient service system for vulnerable citizens in our community. Over time, this online portal will also serve as a “referral” mechanism for our Continuum of Care, enabling us to complete HUD’s coordinated assessment. • Backbone Support Organization: We did not start with the “usual suspects.” Rather, we strategically recruited members for our committee. All participants had to commit to the cause and attend meetings for at least 9 months. Addressing the issue requires leaders and organizations from various sectors and systems to “own” the final result. This commitment kept the flywheel moving to ensure needed momentum. • Common Agenda: We needed decision makers, service providers, consumers, and subject matter experts who knew the problem and were passionate about solving it, seeing the need for change as a greater interest than just their individual agendas. Most importantly, while we did not seek participants who would rubber-stamp decisions, we did ensure that all participants had a common level of respect for one another, as well as the capacity to collaborate with others successfully. • Shared Goals, Data, and Measurement: We set boundaries to define our scope of control, what population we would serve, and where our energy should be focused. For example, instead of focusing on eliminating homelessness, we chose a preventive information and referral strategy to operationalize a “no wrong door” concept, since that is what our service providers and consumers desired. Agreeing on a common agenda is incomplete without also agreeing on the ways in which success will be measured. This not only ensured that all efforts remained aligned, but it also enabled the participants to hold each other accountable and learn from our experiences. We did not set out with a solution, only ideas and assumptions that we tested and then assessed. • Continuous Communication: This connected to the common agenda in that participants needed to trust each other in order to maximize our success. We all need to know that our interests are equally valued and protected. Continuous communication provides the platform for trust to be developed, concerns to be addressed, and ideas to be discussed. • Mutually Reinforcing Activities: We held recurring meetings 1-2 times per month for 9 months and had clear deliverables to keep everyone on task. The group worked collectively at times and in subcommittees other times, as needed. Coordinating activities through a mutually reinforcing plan of action was vital. This ensured that the significant efforts and activities were aligned towards achieving our common agenda and shared measures. John Eller, Director of Catawba County Social Services, has over 16 years of management experience in public social services. In 2005 received the NC Association of County Directors of Social Services Outstanding Director of the Year Award. 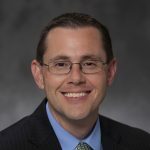 He is an ICMA member, and a proud graduate of Appalachian State University where he earned his undergraduate degree in social work. He earned a MBA from the McColl School of Business at Queen’s University in Charlotte. John is also a graduate of the Senior Executive Institute at the University of Virginia-Weldon Cooper Center for Public Service. In his spare time, John enjoys volunteering in the community, church, and spending time with his wife Amy and their three children, Noah, Brooke, and Eva.